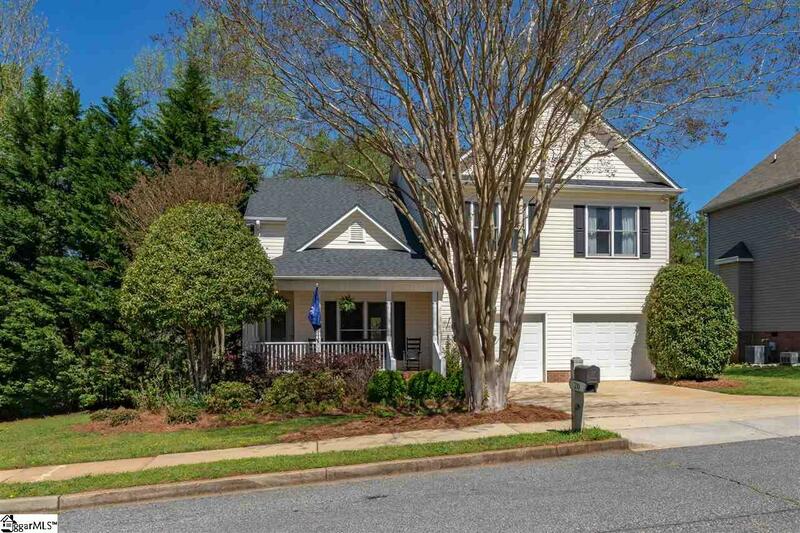 Great location in one of the most desirable neighborhoods in Travelers Rest. Less than a mile to the Swamp Rabbit Trail and minutes away from Trailblazer Park, Farmers Market, and Amphitheater. At just over 2700 sf this custom home features spacious rooms, 9' ceilings, detailed crown molding, vaulted and double trey ceilings, beautiful hardwoods, new light fixtures and much more. GR opens to the kitchen providing family interaction. New stainless appliances, tile backsplash, granite counters and abundant cabinets and counter space. Double ovens and gas cooktop are a chef's delight! GR opens to large multi tiered deck perfect for entertaining. Nicely landscaped providing privacy with plenty of lawn for the kids. AND a brand new 30 year architectural roof. Awesome family home in vibrant and flourishing TR!